Shantih Coro originally from Italy, went to the University of Genova (Italy) to study dietetics to pursuit a career in the sport and healthcare fields. After graduation he spent one year in a farm to learn about agriculture, farming and food preparation. Shantih is working towards transferring his credentials to become a Registered Dietitian and Sports Dietitian through Eastern Michigan University one of the top dietetic program in the country. He holds the best post graduate sports nutrition certification in the field with the International Society of Sports Nutrition (ISSN) and Precision Nutrition. 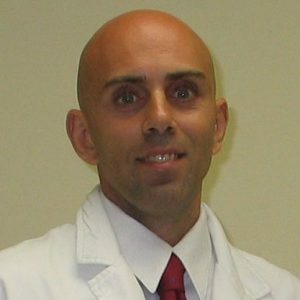 In 2008 he discovered functional medicine which changed his way of practicing nutrition and sports nutrition at a higher and more sophisticated level. Shantih is an expert in digestive problems, wellness and sports performance and will work tirelessly to help his patients to achieve performance, optimal and balanced health. He educates his patients towards proper lifestyle changes, supplementation, exercise, stress reduction and nutrition. Shantih has over 15 years of experience working with patients for weight loss, digestive problems, general wellness, amateur and professional athletes as well as fitness competitors. When he is not working at the clinic or studying towards his degree, he works as strength and conditioning specialists with young athletes of soccer and professional athletes to help them achieve high levels of performance.